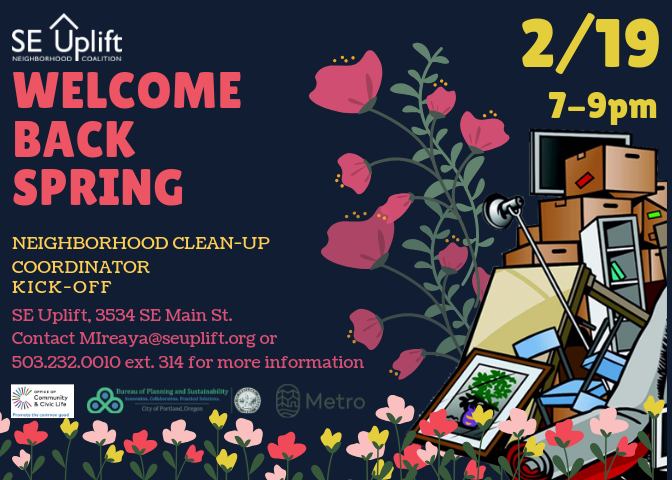 SE Uplift is hosting the 2019 Spring Cleanup Coordinator Kick-off this February 19th! Get the scoop on changes and new policies for the program, including returning Intake Forms, recycling programs, and upcoming changes next year! Meet with Bureau of Planning & Sustainability (BPS). Plan a litter Pick-up or Graffiti Abatement project.